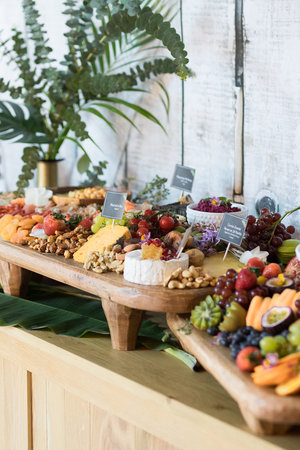 LUSH PLATTERS brought the Australian 'grazing' sensation to Singapore. 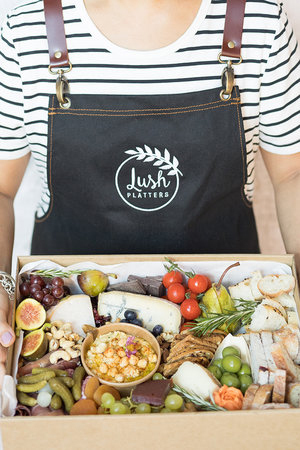 With our luxury platters, styled boxes and lavish grazing tables, Lush Platters turns any occasion into a gastronomic adventure. We don’t settle for your average cheeseboard. Instead, we source premium fresh produce, artisan cheese, charcuterie and delightful accompaniments that are arranged into stylish abundant showcases. Our platter or table options are the perfect centrepiece for any event including weddings, birthdays, corporate functions, celebrations and social gatherings. Entertaining with Lush Platters is a great way for people to come together and bond over delicious food, in a relaxed way. Your guests will be spoilt for choice! We are proudly eco-conscious, with a commitment to serving the local community and preserving the environment. Our mindful efforts include; using environmentally sustainable packaging and disposables, harvesting our own organic herbs and edible flowers where possible, little food wastage in our preparation, partnering up with local businesses and ethical vendors, recycling and minimal plastic usage.